The rent at The Creek Is Conveniently Located Off Washington. Apartments ranges from $873 for a one bedroom to a $1,171 two bedroom. Apartments in this building are about as expensive as the Martinez average. This is a pet-friendly apartment. This apartment is in Martinez. The closest park is Martinez School Park. The Creek Is Conveniently Located Off Washington. Apartments has a Walk Score of 37 out of 100. This location is a Car-Dependent neighborhood so most errands require a car. 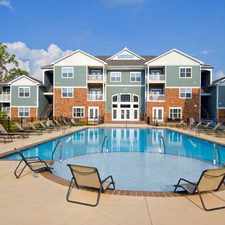 Haven at Reed Creek is located at 303 Wave Hill Martinez, GA and is managed by First Communities, a reputable property management company with verified listings on http://www.rentcafe.com/. Haven at Reed Creek offers 1 to 3 bedroom apartments ranging in size from 776 to 1292 sq.ft. Amenities include Air Conditioner, Business Center, Clubhouse, Covered Parking, Fitness Center and more. Property is located in the 30907 ZIP code. For more details, contact our office at (706) 855-1498 or use the online contact form and we will get back to you as soon as possible. Explore how far you can travel by car, bus, bike and foot from The Creek Is Conveniently Located Off Washington. Apartments. The Creek Is Conveniently Located Off Washington. Apartments is in the city of Martinez, GA. Martinez has an average Walk Score of 19 and has 35,795 residents.